Kubernetes Hosting for your containerized applications. Starting from 229€! Enable your business for the “Next Generation Virtualization” which makes automated deployments, scaling and management as easy as possible. Optimized for development and production workloads. Kubernetes is a Google-developed open source project that automates the deployment and management of multi-container applications. Kubernetes works mainly with Docker. However, it can work with any container system that complies with Open Container Initiative (OCI) standards. Since Kubernetes is open source, it can be used freely by anyone who wants to run containers. Easy to manage, blazing fast speed, highly available. Our K8s hosting is based on OpenStack and running at a TIER3+ facility in Frankfurt, Germany. 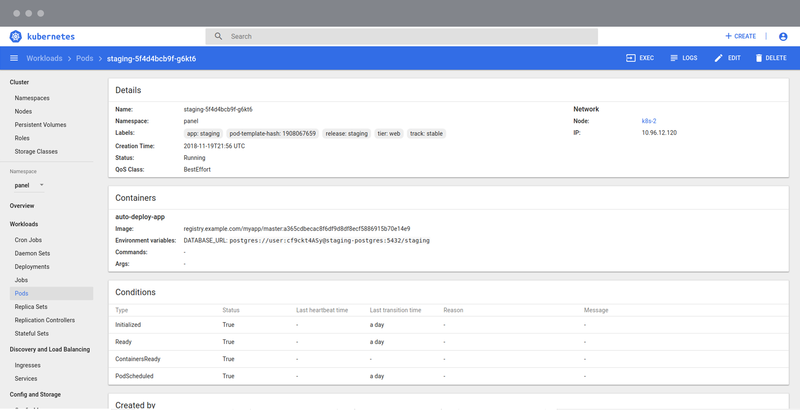 Monitor your workloads at anytime, from anywhere. 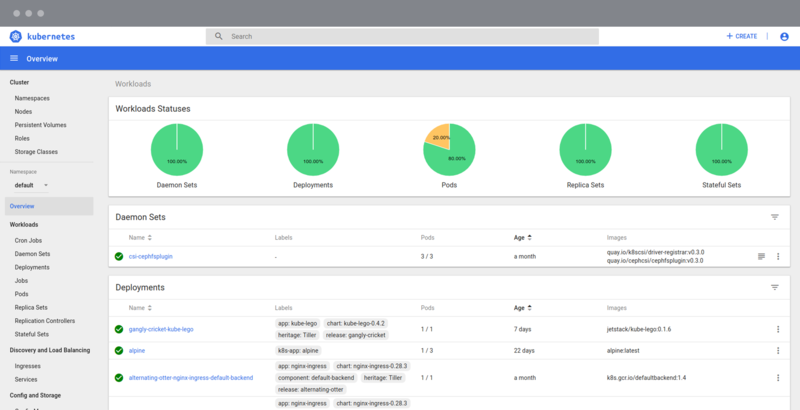 Our Kubernetes dashboard helps you to monitor your daemon sets, deployments and pods. Precise information is everything. Get all the information which is needed for running your containerized infrastructure on a high speed cluster. Based on OpenStack and Ceph Storage - only the best is good enough. Kubernetes is designed to self-heal your cluster environment without any manual intervention. 24/7 available for your questions and its already included in our pricing. Our Service Level Agreement guarantees at least 99,5% availability of your Kubernetes Cluster. Kubernetes Hosting can scale without increasing your ops team. You need more power? Within a few clicks you can add more nodes. Our K8s nodes are connected at least with 20 Gbps connectivity. Our engineers take care of your data and backup your platform regularly. Are you interested? Get in touch with our sales team. Kubernetes Hosting at VPS2day is still in beta and we would be very happy to host your project. Our engineers and consultants are available for your questions.